ATC-Semiconductor Devices manufactures multi-mode high power laser diodes with CW output power of 500 mW ... 8 W, and QCW laser arrays (bars) with peak output power up to 150 W.
The ATC series laser diodes and arrays are manufactured on the base of MBE or MOCVD grown InAlGaAs quantum well heterostructures. These technologies provide a very accurate control of the chemical composition and grown layer thickness and ensure high reproducibility of device parameters. Application of quantum well structures (active layer thickness of 70-150 angstrom) provides low threshold current densities and high optical output power. Lasers are soldered on to the heat sink with the epitaxial layers down, which ensures efficient heat removal and provides high optical output power. ATC-SD carries out testing of each device (250 to 500 hours of operation in CW mode) and one-off certification after the test. 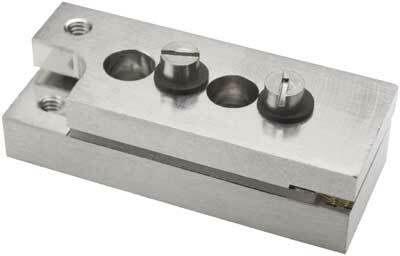 This procedure ensures the selection of highly reliable samples. 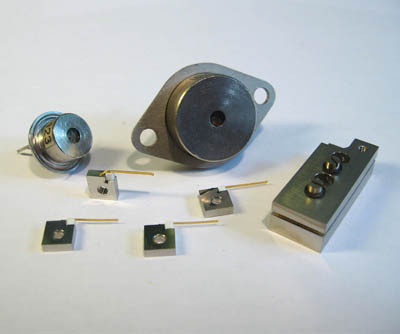 Lasers can be manufactured either on open heat sink (C-mount, L-package) or in hermetic cases (ATC package аnd TO-3 package). 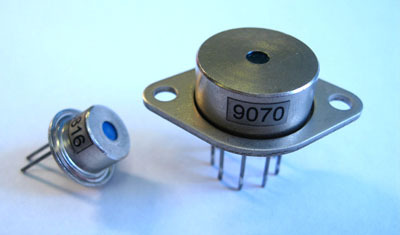 Lasers of the "open heat sink", "C-mount" and "L-package" type allow different manipulations with the laser crystal. They are preferable if the user carries out scientific investigations and encapsulates the entire module (laser diode and radiator) by himself. The ATC package is a hermetically sealed case with a flat output window. This unit allows operation without a complementary heat sink in a pulsed mode and in some cases, in a CW mode. The small heat resistance of the ATC package provides a low temperature difference between external package surface and laser crystal. The TO-3 package includes a Peltier thermocooler and thermistor, which allows to maintain constant operation temperature. Being adjusted and completely compatible to the worldwide standards, our version of TO-3 package has a detachable mounting ring. This gives a higher variety of possible applications and allows to achieve a higher density of the device design in the user's applications. The ATC and TO-3 packages may contain a monitor photodiode as an option, which ensures stabilization of the radiation power. 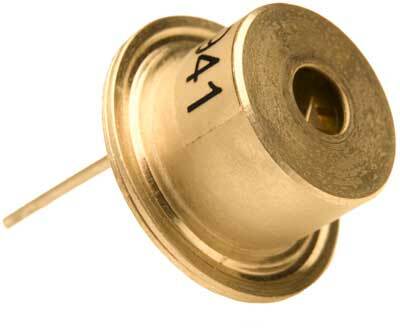 Photodiode characteristics are linear with a wide power range. The photodiode operates without opposite bias and the response time is about 50 ns. The photodiode current is a relative value which may be used as a feedback for control and adjustment of the emitted optical power. 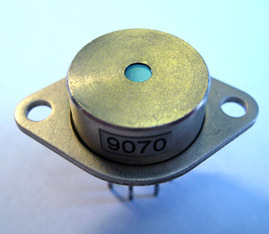 The maximum photodiode current is 10 mA. All packages may contain a cylindrical microlens as an option, which reduces the radiation divergence in 20 times (in one plane). With this option customer can work without additional optical systems or can use an inexpensive long focus lens. The L-package is used for laser arrays. The bar emitting area width is more than 90% of the heat sink width, which allows to use of several laser bars simultaneously for DPSSL pumping. 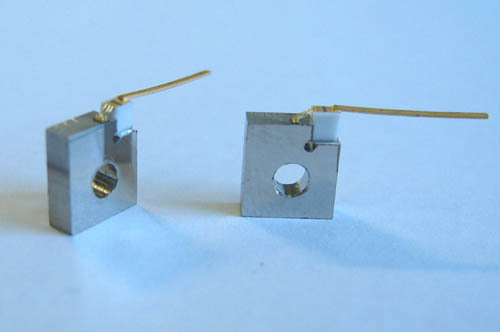 High power diode lasers are - according to International Electronical Commission Standard - class 4 laser products. The lEC-Standard includes safety regulations for eye and personnel protection that must be observed to avoid any harm to operating personnel.